Yehyun was a doctoral candidate in the Planning, Governance, and Globalization (PGG) program at Virginia Tech, and over the past several years has been a highly valued graduate research assistant in the IITK-VT partnership on Sustainable Infrastructure Development. Yehyun’s research explores the concept of capacity development (CD) in the context of a large urban infrastructure program in India – the Jawaharlal Nehru National Urban Renewal Mission (JNNURM). Her research utilized a unique combination of qualitative and quantitative methods and (I believe) is the first application of fuzzy-set Qualitative Comparative Analysis (fsQCA) in the field of CD. The findings from Yehyun’s research make important contributions to both CD theory and practice. I have included the abstract of Yehyun’s dissertation below for those interested in reading more about her research. Since the 1950s, Capacity Development (CD) has been an important component of international development agendas. It established the widespread consensus that the capacity of individuals and organizations is critical to maintaining and enhancing the effectiveness of development projects and programs. A problem, however, is that the concept has been applied without due consideration to how it should be adapted to the local context, making it more of a symbolic gesture. The application of CD to urban infrastructure projects in India is one such example. Recognizing the shortage of urban infrastructure as one of the major impediments in India’s economic growth and rapid urbanization, the Government of India (GOI) launched the Jawaharlal Nehru National Urban Renewal Mission (JNNURM) in December 2005 to provide substantial central financial assistance to cities for urban development over a period of seven years. The GOI expected the JNNURM to reform institutions and strengthen human resource capability related to many areas of project delivery. During its implementation, however, the JNNURM has been confronted by problems related to a lack of capacity. This research reviews the capacity challenges related to the JNNURM program and considers the broader implications for urban infrastructure development in other developing countries. This research begins with the question “How can CD be operationalized?” From this starting point, the research seeks to reveal the operational values of CD. Following a detailed literature review on CD, capacity factors that are applicable to the urban sector in India are identified and a CD framework is developed. Two research methods – case studies and fuzzy-set Qualitative Comparative Analysis (fsQCA) – are adopted to answer the primary research questions. By leveraging the strength of these two methods, this research advances our understanding of the relationship between capacity and development goals such as improving project performance. In the case studies, this research investigates the gaps between CD theory and practice through the lens of practitioner perceptions of CD. In addition, unlike traditional thinking on the linear relationship between capacity and project outcomes, the case studies reveal two-way causal relationships between capacity and project outcomes that form a spiral structure between the project delivery process and capacity factors. Better capacity can enhance project performance and lead to better outcomes, and project performance and outcomes also influence and reinforce capacity in the reverse direction. Moreover, through the fsQCA, this research identified causal relationships between capacity factors and outcomes and demonstrated that the capacity factors generate different outcomes through their interactions with other capacity factors. This finding contributes to our understanding of how capacity is interconnected with development goals. In summary, this research contributes to both CD theory and CD practice based on a comprehensive approach that not only considers CD at multiple levels (environmental, organizational/network, and individual/project), but also covers different CD subjects such as context, actors, dimensions, processes, and impacts. Through this comprehensive approach, a range of important findings are developed that can help researchers and practitioners operationalize the complex concept of CD. 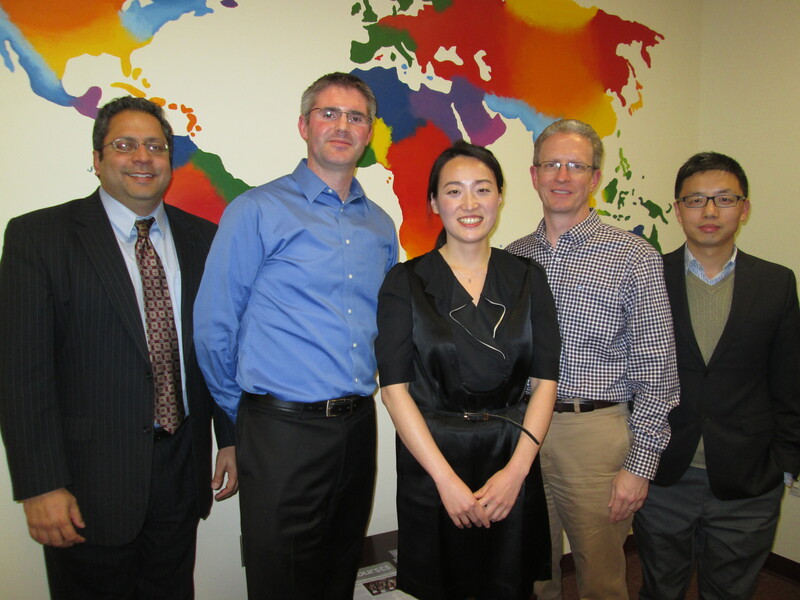 I served as the chair of Yehyun’s dissertation committee along with committee members Guru Ghosh, Michael Garvin, and Yang Zhang.